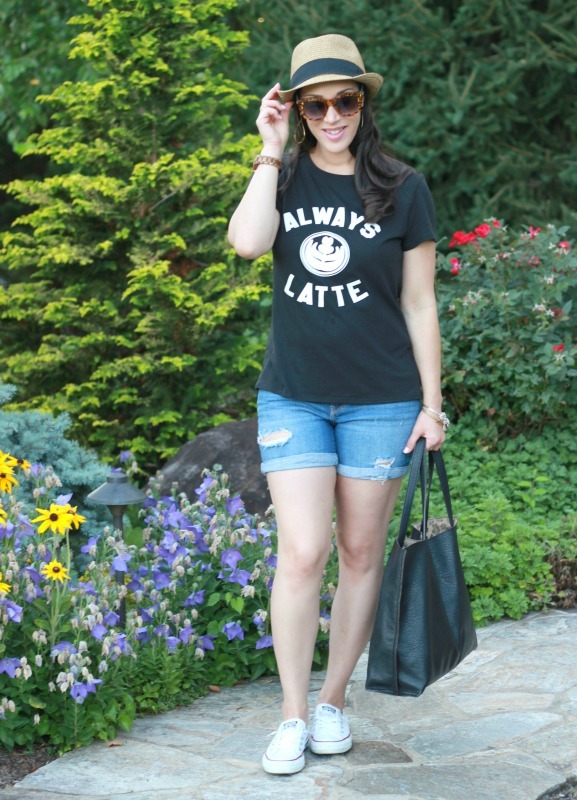 Is anyone else "always latte"?? LOL. I'm pretty much always late and now with a baby, it's even worse! I'm seriously impressed by people who get out of the house early every morning with young children! 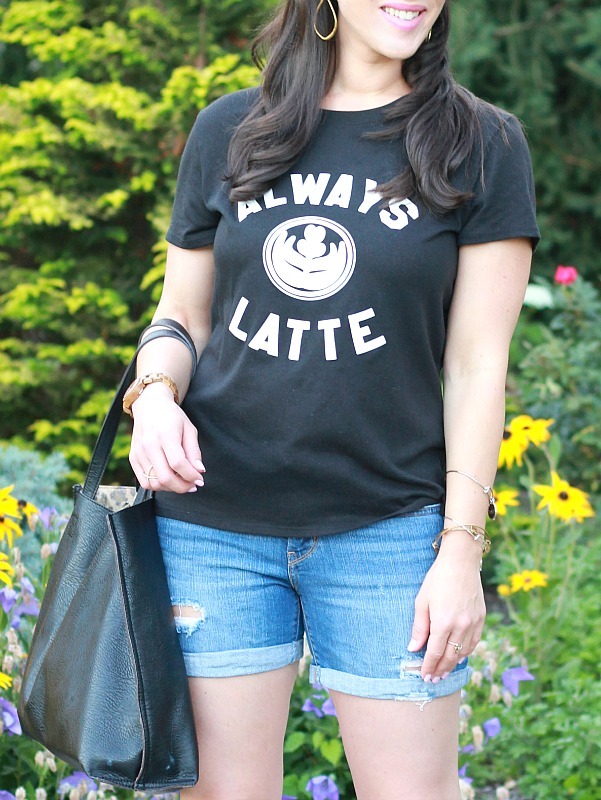 I absolutely love this casual latte tee from Nordstrom (it's SO me). It's really soft and comfy and on sale for $20. 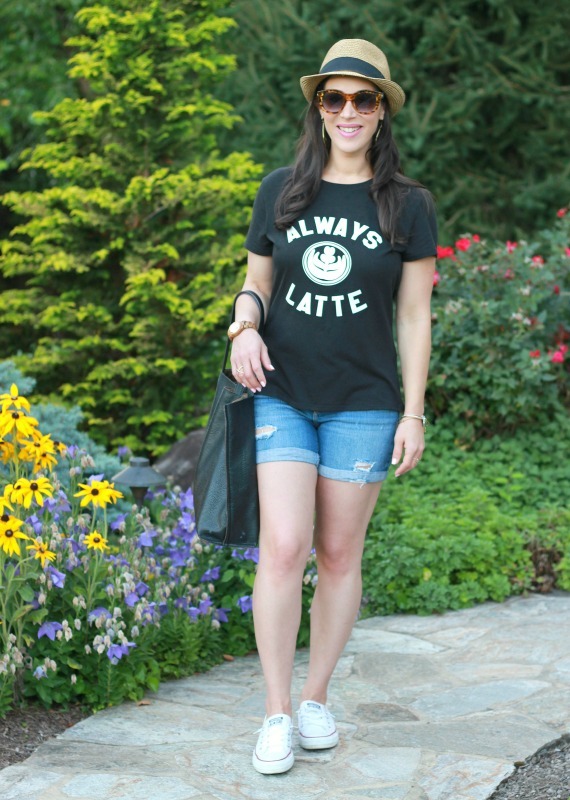 I'm a latte lover + I just think coffee tees are fun in general! This summer outfit is perfect for running errands, shopping, concerts, cook outs, and more. It's super casual yet looks put together and stylish! 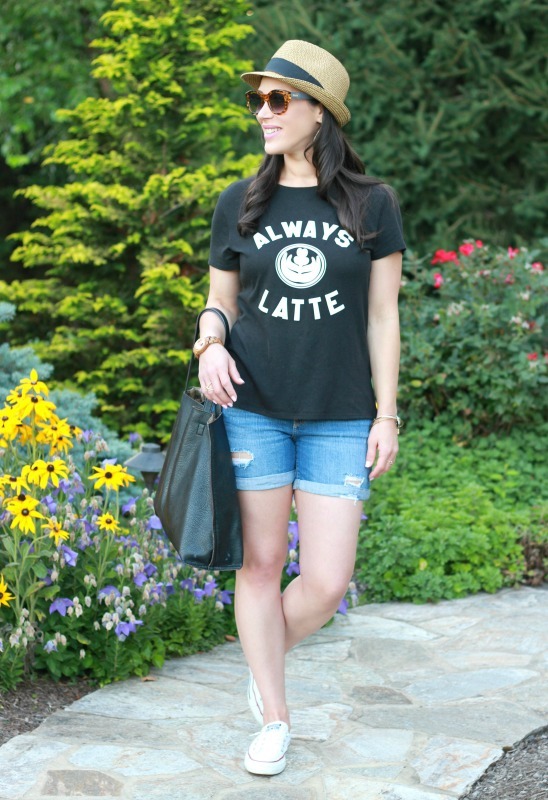 I wish I had blogged in this tee sooner because now sizes are limited. 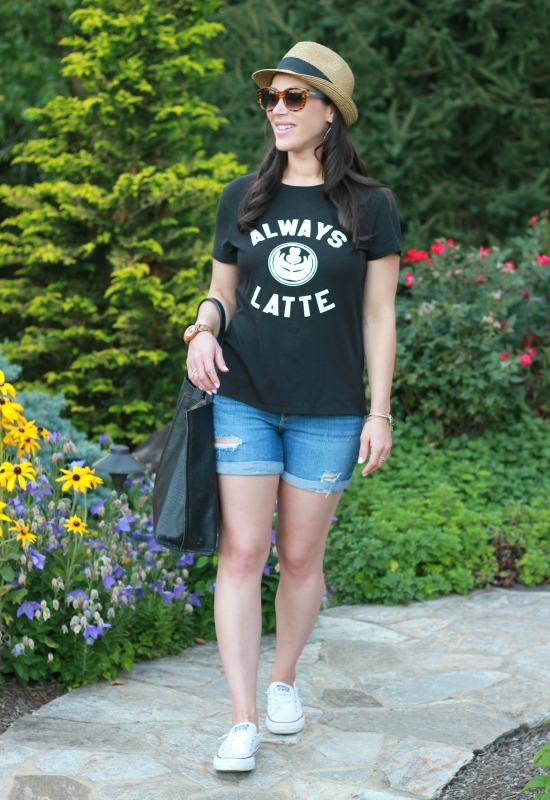 If Nordstrom is out of your size, Amazon has a few 'always latte' tees here and here (both under $20). Also, if you're looking for the perfect straw fedora this summer, this BP. one is it. It's $18 with free shipping and seriously goes with everything! I think it makes this outfit. This look is so easy to recreate. 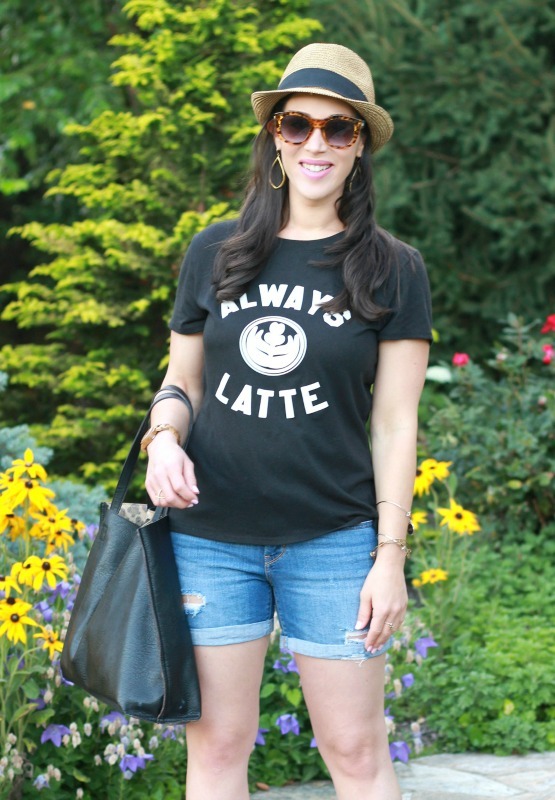 Just take your favorite tee, jean shorts, fashion sneakers and a fun summer hat and viola! There are endless ways to accessorize this outfit, too. 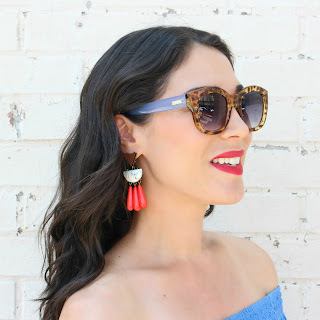 If you're missing any of these items in your closet, I've got you covered! Everything is linked above and in the widget below for you to shop. Shop My Recent Instagram Posts!